220 Triathlon is the UK's longest-running and most popualr magazine for all things triathlon-related with each issue providing the latest news, race coverage, training/nutrition advice and rear reviews.Buy a single copy or subscription to 220 Triathlon Performance Series magazine. The quarterly 220 Triathlon Performance Series picks up on this and focuses and gives more indepth coverage and proves to be an essential guide to all triathlon fanatics and enthusiasts. 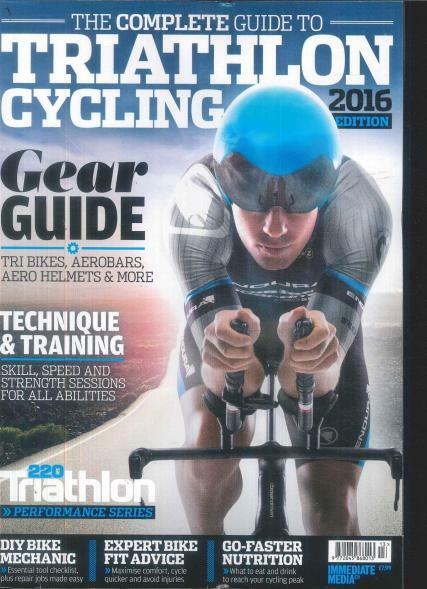 Make sure you pick up the latest copy of 220 Triathlon Performance Series today to make sure you dont miss out. Or subscribe to the magazine to ensure you never miss an issue.